We inherited six chickens when we moved, and while I don't know anything about chickens, I'm pretty sure the coop needs a good cleaning. 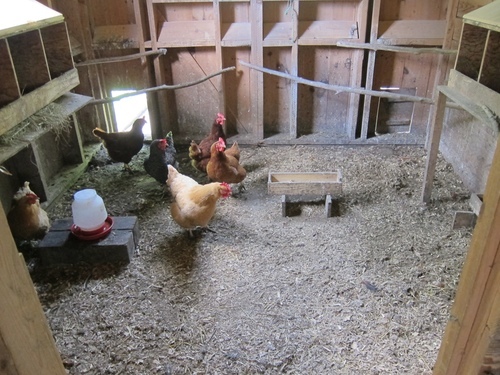 If you have chickens, I'd love to hear how you clean your coop, how often, with what, etc. I need details; "Use pine shavings" is a little too general. 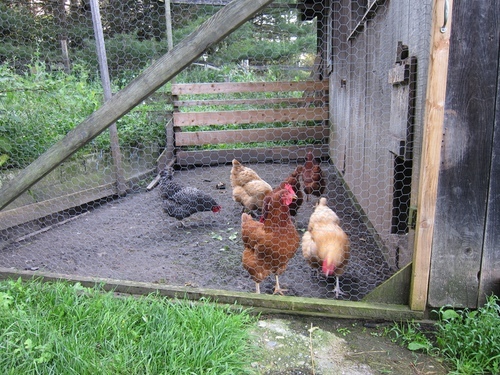 For example, do you rake or shovel out the coop? Where do you put the used (what do you even call it? Bedding?) Can you dump it in the woods? Compost it? What do you use to clean the floor/walls? I've heard about vinegar/lavender/citrus concoctions... does anyone have a brand or recipe for this? 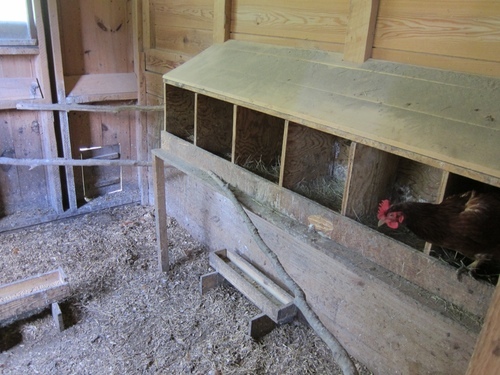 What about the outside section of the coop? Any suggestions for the mud pit it has become?